While Las Vegas is known for many of its shows and not all of them family friendly, it’s great to know that there are still a few shows going on that offer a little something for nearly every member of the family. Even some of us grown up viewers aren’t as interested in the shock value of many Vegas shows and prefer much tamer forms of entertainment when enjoying our downtime from work and responsibility. If you never outgrew a love of magic or if you have children of your own that you are hoping to introduce to the wonderment that illusion can bring then Lance Burton, Master Magician has just the show for you to see. He performs at the Monte Carlo Resort and Casino in Las Vegas Tuesday through Saturday. After you’ve seen the show, be sure to enjoy the magic of the Monte Carlo. If you loved the Rat Pack, there is no show in Vegas you’d rather see than the Tribute to Frank, Sammy, Joey, and Dean, which shows at the Greek Isles Casino on Saturdays through Thursdays. This is the way to see the Rat Pack back in action and remember the great music and entertainment of days gone by. While this is a family friendly show, children must be over the age of five in order to attend. If you are a product of the 70’s and remember ABBA and other musical experiences long gone by you’ll have a true appreciation for the magic of this love story that is built around the music of ABBA, which is playing at Mandalay Bay Resort and Casino, Las Vegas. You can see the show Sunday through Thursday at 7:30 and on Saturdays at 6:00 and 10:00 PM. This is another show that requires children be at least five years of age in order to attend. Legends in Concert at the Imperial Palace offers a great night of entertainment with impersonators to the stars of today and days long past. This is not a lip-synching show but actual singer and dancers impersonating the best. Sit back, watch, be amazed, and see if you can tell the difference. This show is friendly to children age 2 and over and is a show that is generally very well enjoyed by children of this age. You can watch at 7:30 and 10:00 PM Monday through Saturday. 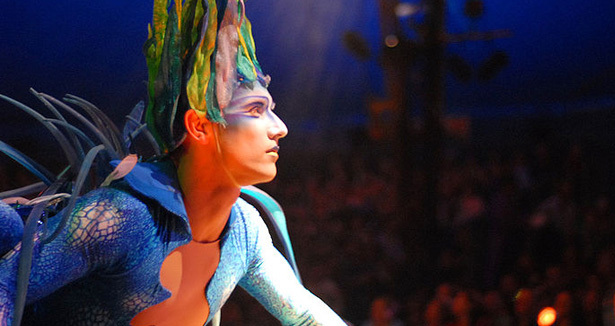 Treasure Island is offering the wonderful show of Mystere by Cirque du Soleil. This show has delighted audiences around the world and is sure to please even the most difficult to impress in your group. Watch as colors explode right before your eyes. This act consists of 72 dancers, singers, and acrobats along with a somewhat misguided clown. Enjoy this show with the family for a wonderful night of entertainment. This show plays Friday-Tuesday with shows at 7:30 and 10:30. Caesar’s Palace presents Celine Dion to the delight of her fans everywhere. This show plays at 8:30 Tuesdays through Saturdays and is open to children and adults 5 years and older. This show is more than just an ordinary concert, it is a musical experience led by one of the best in the business. If you have the time, this is one show that absolutely should be on your itinerary. It really doesn’t matter what particular music tastes and preferences you have, there is probably a show somewhere in Vegas that will appeal to the music that you hold dear. If you have family with you on your Vegas excursion you owe it to the entire family to find a show that you can all enjoy together. If you have youngster in your group there are shows that you can very much enjoy together, the problem is that these shows will most likely be without loud music as there is a fear of damaging the ears of little ones with loud noises often involved in the musical venues.